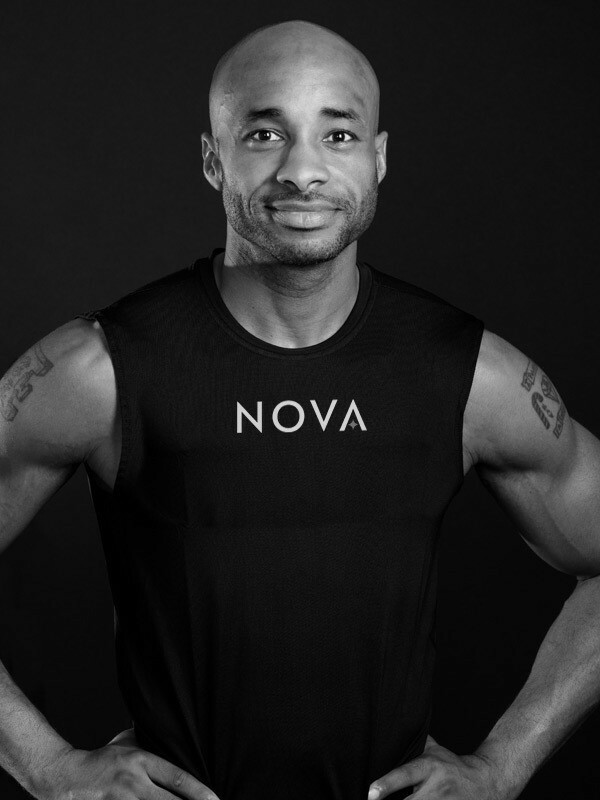 I had the pleasure of interviewing Jackie Wilson, co-founder and head trainer at Nova Fitness Studios in New York City. Jean: Can you share your story about how you became an entrepreneur founder? Fitness has been a part of my life since I was child. I began working out with trainers and specialists at an early age as I worked to maximize my athleticism while playing tennis, basketball, and football. By the time I was a senior in high school, I was providing personal training services to my friends and teammates. I then had the opportunity to train and work with student athletes in Duke University’s athletic department during my time there as an undergrad. And I continued providing training services during my time at Notre Dame while in law school. Following school, I worked as litigation associate specializing in commercial and general liability matters at a law firm in New Jersey. I later left the law firm to join All Pro Sports and Entertainment as General Counsel and NFL/NBA player agent. During my time as an agent, I was given the opportunity to not only work with our players in a representative capacity, but as a trainer as well. While doing so, my spark for fitness and health was reignited. That led me to founding JackFit in 2012. Since then, I have been providing personal training and group fitness classes throughout New York City. I pride myself on staying abreast of the latest fitness trends so that I can provide my clients with not only the most effective, but also the most efficient workouts possible. Founding Nova Fitness is consistent with this philosophy. Electro Muscular Stimulation (EMS) is one of the biggest and fastest growing fitness phenomena in Europe and Latin America. However, it is not yet readily available because it is a brand new concept in the United States. We are now looking to bring this amazingly efficient and effective workout style to New York. Jean: What do you think makes your company stand out? Can you give an example of how you have positioned yourself in the marketplace? Nova is introducing a new workout that will give you your time back. EMS has been used successfully for rehabilitation purposes for a long time. Most people who are familiar with EMS know of it because of its use in treating various ailments, such as chronic pain and back pain issues. However, in the last few years, EMS has been used for fitness regimens. It’s already huge in Europe and Latin America, but it’s brand new to the United States. A lot of people are familiar with muscle contractions. When we exercise, our movements make our muscles contract voluntarily. For example, when you perform a curling movement, your biceps contract with each movement. At Nova, our clients wear suits that contain electrodes placed around the muscles throughout their bodies. The electrodes send impulses to your muscles to make them contract involuntarily while you’re performing exercises. This allows for a unique combination where your movements create voluntary contractions and the suit creates involuntary contractions. The involuntary contractions can happen at a rate of up to 40 per second, thereby greatly increasing the number of contractions that you experience per movement. This tandem makes your workouts more efficient: it cuts your workout time from 90 minutes to 20 minutes. It’s efficient, effective, and safe. Yes, we’re very busy at Nova Studios! We have two facilities currently under construction with our midtown location set to open in September and a Tribeca location opening in the winter. As mentioned, EMS workouts are rapidly gaining popularity worldwide and we’re excited to be able to offer these services in New York City in the very near future. Jean: What is one piece of advice that you would give to an aspiring entrepreneur? Don’t be afraid to ask for help. Being an entrepreneur is very much an “eat what you kill” lifestyle that many non-entrepreneurs don’t fully understand. As such, it can become easy to feel like you’re on an island by yourself. My advice is to seek out other entrepreneurs and form relationships. Listen to their stories — the good and the bad. Their triumphs will be encouraging. Their shortcomings will serve as lessons. But all of it will be useful, if for no other reason than it will remind you that you while you may be seeking a different destination, there are countless others out there who are enduring similar journeys. Jean: Do you have a favorite book that made a deep impact on your life? Can you share the details of why you found it to be so influential and profound? I have two literary pieces that have deeply impacted my life. The first is “Man’s Search for Meaning” by Viktor Frankl. It follows the author during his time as an inmate at Auschwitz concentration camp during World War II. A big takeaway was that even when faced with awful circumstances, there is always something to think positively about. And once you find the positive, you can use that positive to visualize and ultimately help determine a more favorable outcome. Visualizing a positive tomorrow can have a profound impact on your mentality today. “Invictus” by William Ernest Henley is another favorite of mine. This poem is all about perseverance in the face of adversity. Regardless of the circumstances, never give up, do your best, and refuse to lose. Both pieces provide guidance while navigating the ups and downs of entrepreneurial life. The journey is difficult. However, having a positive mentality, maintaining an ability to visualize a brighter tomorrow, and refusing to lose can come together to power you through. Jean: What are your “5 Lessons I Learned as an Entrepreneur Founder”? Please share an example for each. 1 – Bet on yourself. If you don’t believe in your vision, don’t expect anyone else to buy into it either. You’re either in or you’re out. To be an entrepreneur is to bet on yourself on a daily basis. 2 – Don’t be afraid to ask for help. There are people out there willing to help you along the way, you just have to be brave enough to ask for help. Don’t be too prideful to seek out the assistance you need. 3 – Hang out with entrepreneurs. Entrepreneurial life is a daily roller coaster. So much so that it’s easy to forget that not everyone around you is living with the same ups, downs, twists, and turns of your journey. So they may not be able to understand and support you in the manner that you need. However, your fellow entrepreneurs will certainly get it. Seek them out, build a bond, and share the load. 4 – The path to success is not always a straight line. Go to a good college. Go to a good law school. Be a lawyer. Retire. That’s the antiquated traditional career path. The beauty of today is that we are not pigeonholed into the former societal norms, and are free to zig, zag, jump, and dive into any and everything. If you don’t like what you’re doing, stop doing it and do something different. Follow a passion and find a way to make it work. 5 – It takes years to be an overnight success. Being a business owner is a grind that requires a lot of groundwork and, most importantly, patience and time. I jumped into fitness full time 6 years ago and have been blessed to have found slightly more success with each passing year. It’s been a series of gradual wins rather than the grand slam that I hoped for in year one. I’m nowhere close to where I want to be, but I’m moving further and further ahead than where I started. Jean: Is there a noteworthy person who you would love to have a one-on-one breakfast or lunch with, and why? Magic Johnson. Magic Johnson is the ultimate competitor and one of the world’s most successful entrepreneurs. Magic has been a champion as a player on every level of basketball. He is the President of the LA Lakers and co-owner of the LA Dodgers — two of the most successful organizations in their respective sports. And he has steered countless other businesses to enormous success (e.g., Magic Johnson Theaters). However, he has done all of this with a trustworthy smile that makes everyone around him feel great. The ability to balance being a professional shark while making others want to be around you is an awesome gift. He’s magnetic and someone who I would want to connect with. Jean: This was really inspiring! Thank you so much for your time. Female Disruptors: Kristin Marquet is helping female entrepreneurs become PR pros.